Motorola announced at MWC 2014 that it's working on another smartwatch, and Lenovo looks fully on board with bringing not only this product to life, but any other Moto has cooking. "We know for sure that the product we are working on this year is one of the key benefits for Motorola. They are committed to helping us deliver the products we are working on right now. The acquisition brings some interesting opportunities going forward," said SVP Product Management Rick Osterloh of Moto's new owners. 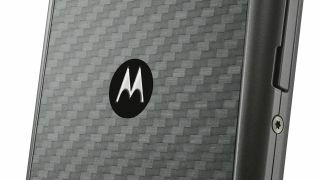 Lenovo purchased Motorola from Google last month, and the line has been that Motorola's core products would at least stay the same. While this new smartwatch may not be the Moto X, Lenovo sounds committed to carrying out Motorola's 2014 product roadmap, even if its previous wrist tech attempts fell short. It's been rumored for some time now that Motorola was working on a new smartwatch. Those rumors circulated when the company was still Google's charge, leading many to speculate that the Google watch would be a Moto production. Motorola has made a smartwatch before: the MotoActv was its first go, but the ill-fated wearable equipped with a GPS fitness tracker failed to take off. Details are still scarce for Motorola's new smartwatch, though it will run Android and will be unveiled "within months." Not that it would, but Motorola's Rick Osterloh made it clear the watch "won't be running Tizen." It should be a looker, too, or at least more attractive than Samsung's boxy Gears. Just for you: We have our Gear 2 hands on review right here!